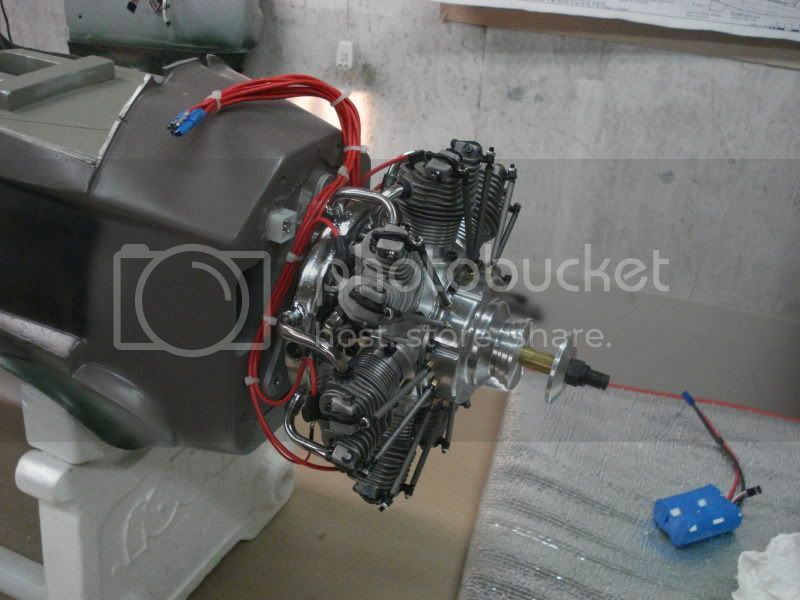 24" is exactly the proper size for the Criquet, I had my fingers crossed that it would work well with the engine. My only concern at this time is if the 77cc is going to have enough grunt to pull a plane in the high 20 pound weight range with authority for scale STOL type takeoffs. Send a private message to BigJilm! Find More Posts by BigJilm! Just chiming in as another UMS-Seidel/EVO owner. I have a 7-70 in a 1/5 FW-190. Weight is 29.5lbs RTF. UMS tech collector ring I'm running 100% methanol with 1 quart of klotz super techni-plate oil per 5 gallons, so 5% oil content. Mcdaniel RC on-board glow system allows the engine to idle at 900-1100 rpm reliably. I am currently running a Menz Ultra 24-12 2 blade wood propeller, that has been cut down to 21" in diameter (which increases the pitch to around 15-16") @ 5900 RPM (mixture richened 200rpm from peak), Their is also a functional "cooling-fan" attached to the spinner just like the full-scale 190 had, that probably robs a good bit of power. Airplane has a realistic takeoff at full-throttle, and takes about 1 lap around the field before it gets "on step". 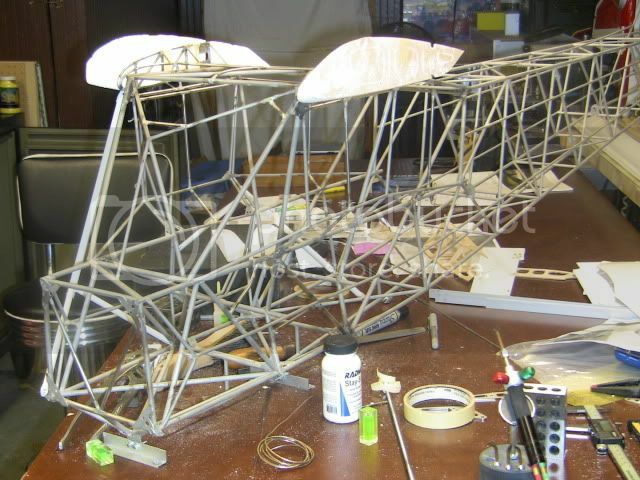 Afterwards, the model has to be flown like a full-scale airplane. Verticals are limited to about 500, and Large scale loops are a bit difficult due to the lack of power. The Second flight. This one was marginally better than the first flight. When i say marginally better, it had about 10mph more flying speed than the very first flight. The Fourth Flight: This one is substantially better and essentially how the airplane is configured today. I did a slight bit of re-profiling of the prop tip to taper them more and got an extra 100rpm more compared to what is in this video.
. . . and thanks again! You've got a real gem there - I love it. Dave. I have been looking on the UT 7-35 for a while ,thinking of maybe putting it on my Pitts Python. Is it as good running as the 7-70 ? does it run and idle fine without glow power ? Nils, I have one and it is a sweet running little engine. It is very quiet too. I like mine turning a Xoar 17x8. Smooth, smooth SMOOTH! Lars loves his on his Stearman. 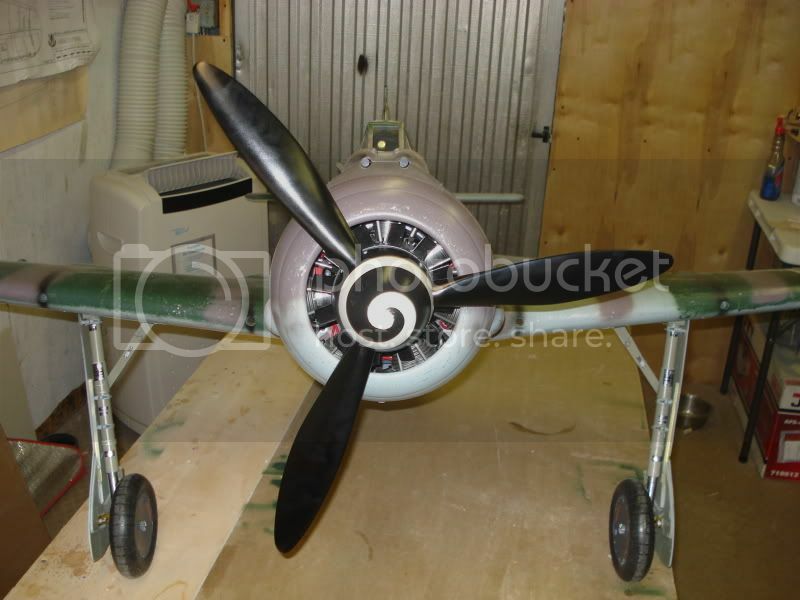 It is getting fun around here with these interesting planes and projects!! Horizon just charged my card yesterday, so it looks like a monday ship for those of us that have ordered from horizon!!! Hello guys I will be watching this thread closely as I have decided on my next plane, but still wondering what to do for an engine. I have decided that I would like the TF P47 GS ARF, seems no one has anything bad to say about it, and I am a big fan of the P47, so it seems the natural choice. For power of course I would love a radial, and since I found the Evo radials it seems that it may be possible, they seem to be very good value for your money. I posted in the P47 thread but it seems that there are not very many radial fans over there, and they all pretty much shot down the idea of putting a glow radial in the cowl. They all pretty much shot down the idea, but I still can't shake the possibility. My questions have pretty much been answered but I will run them by you guys again and see what you think. As far as size it seems the 777 will fit best. From what others have said the cowl is 10" diameter, and I think the larger 9cyl is 10", so I don't think it would fit with out modifying it. Plus the price of the 777 is more in my range. So as far as power is concerned, it seems you guys think it should be powerful enough. Seems the TF P47 to come in at around 25lbs or so. I like scale, but I also like a little extra power for those days that I just want to fly the wings off it! You guys think it's got some extra power? Also I am concerned with fuel consumption, large glow engines are certainly not very fuel efficient! 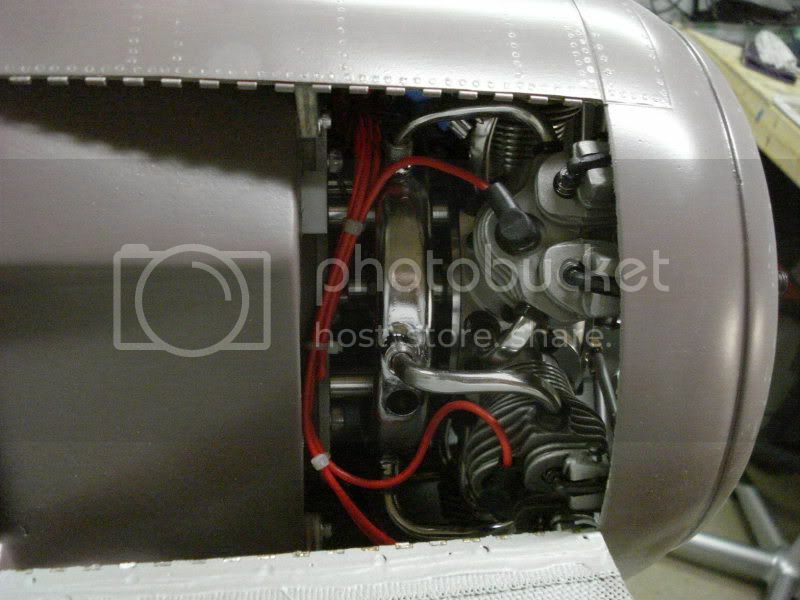 How are these engines? Also I see you guys talking about methanol, do they run more efficient on meth? (sounds like I am a drug dealer... hey you runnin meth... LOL). I am guessing as well that with a lower oil content the mess is far better then running nitro? These Evo/sidel engines seem pretty easy to run, this would be my first radial, and I have been running Saito engines, and various 2 strokes for many years, so I have a fair amount with singles, but this would be my first radial. Last question is regarding mounting, the manual says not to use stand offs, but it seems some of you have used them. I am guessing that these engines are much shorter then their single cylinder counter parts. So I would need some kind of stand off/extension to push the engine out further for proper mounting. Extra power.. I highly doubt it. At 25 to 30lbs weight, you will have scale power from the 7-77. My 190 could use a few extra hp. Fuel consumption is great. A 6 to 7minute flight only uses around 12 to 14ounces of fuel. I wouldn't use standoffs. The engine is allot of weight to hang on only 3 bolts with that much leverage. PS They are referring to those aluminum tube standoffs. Build a balsa and ply box stand off that is rigid. Look at post #44 I have pictures of my installation using cherry standoffs painted grey with dope. 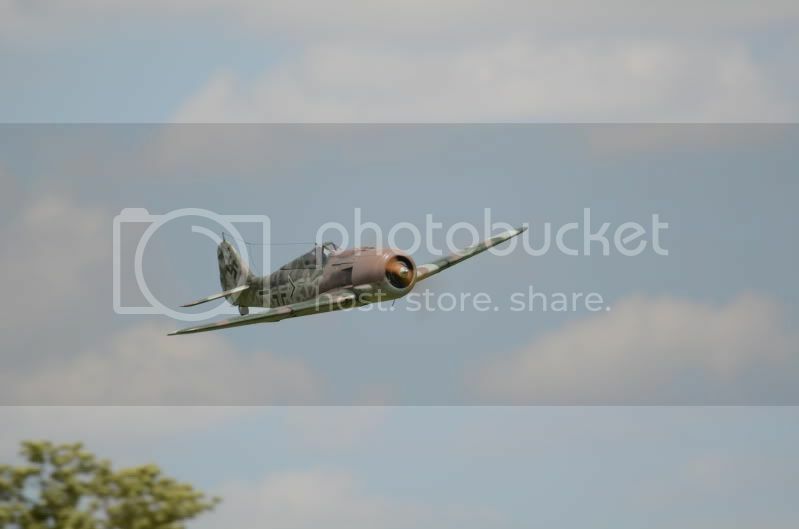 Actually Ithink your right about the P47, just checked the TF site and it says between 19.5 and 21.5 so hopefully it will be closer to 20lbs, or less. Iwill have another look at your post, maybe if you have time you could send me a few more detailed pictures? Idon't have the plane just yet, gonna wait and see what Santa brings... LOL. Other wise Iwill see what's left over after all the shoping, and then order it all after the hilidays and take my time building over the rest of the winter. Ialso plan to have retracts for all wheels, so that may impact the weight, so hopfully it won't be a heavy pig! I have ordered an Evolution 7-35 now and it is probably in a USPS plane over the Atlantic at the moment ! I will mount it on my yellow and black Pitts Phyton. I have bought 8% synt. oil no nitro fuel for it, but the manual calls for 10% oil the first hour , is that necessary ? what did you folks do? I sure am glad that you started this thread. I just received my EVO 7-77 on Saturday. What a good looking engine . I have a BH 90" corsair that I have been running a DLE 55 in this summer. I have been aching to put a radial in since I got it. Now this winter project can begin. I had e-mailed VP products to find a local distributor of M1 methonal.They gave me a place that is 10min away and they sell it for $6 a gallon. I am planning on mounting it on a test stand to run it and tweek it. I had purchased some 1" 7076 aluminium rod to make the stand offs out of but, if I don't think that it will be enough surface area then I will modfy the firewall. Yeah , i can hardly wait to hear the sound and try it out!